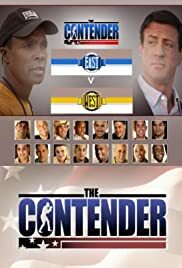 The Contender is a reality television series that follows a group of boxers as they compete with one another in an elimination-style competition, while their lives and relationships with each other and their families are depicted. Produced by Mark Burnett, the show is hosted by Sugar Ray Leonard, who shared hosting duties in the first season with actor Sylvester Stallone. Leonard also serves as a trainer on the show, along with Tommy Gallagher. During the first season, boxing manager Jackie Kallen also served as counsel to the boxers. The show ran for fifteen weeks through 2005 on NBC in the United States of America. The show ran in the UK on ITV2 and was repeated later in the week on ITV1, and now airs on ITV4. It also aired on AXN in India, and on the Spanish language network Telemundo. The second season, featuring welterweight contenders, premiered in the U.S. on Tuesday, July 18, 2006, at 10 pm ET/PT, on ESPN. The third season, featuring super middleweight contenders, premiered in the U.S. on Tuesday, September 4, 2007, at 10 pm ET/PT, on ESPN. The fourth season, featuring cruiserweight contenders, premiered in the U.S. on Wednesday, December 3, 2008, at 10 pm ET/PT, on Versus. 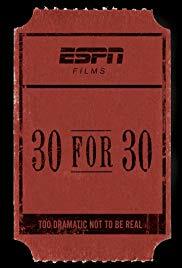 30 for 30 is the umbrella title for a series of documentary films airing on ESPN and its sister networks and online properties. 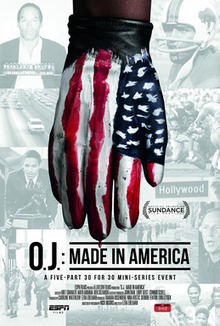 The series, which highlights people and events in the sports world that have generally received small amounts of attention, has featured two “volumes” of 30 episodes each, a 13-episode series under the ESPN Films Presents title in 2011-2012, and a series of 30 for 30 Shorts shown through the ESPN.com website.